March 2019 Current Affairs PDF: March 2019 current affairs are uploaded for the candidates for various examination in India level, state level and any other examinations. 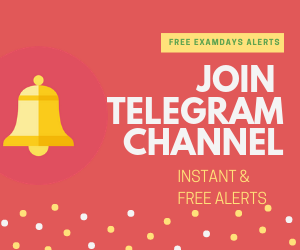 The March 2019 is important for all Bank IPBS, PSU, APPSC, TSPSC, SBI, ISRO, RRB Railway Examins, SSC exam and other. India’s poverty rate has drastically improved from 55% to 28% in the pas 10 Years. The worst 10 districts Madhya Pradesh, Uttar Pradesh, and Bihar. The Lowest MPI was in Kottayam, Thrissur, Ernakulum districts in Kerala State. A customer may use this single rupee card for making the payments across all segments including market, bus, sub urban railways, tolls, parking, retail shopping. Members: Kaushalendra Singh Patel, Sudha Yadav, and Achary Talloju. Reason for Scheme: 100 days Employment for unemployed youth. In 2012 years Anil Kumble received a chairmen post from West Indies farmer cricketer Cleve Laid. Location of AIIB: Beijing, China. Eligibility: 5 Acres land with Monthly income Rs.15,000/- or below. Age Group: 18 to 40 Years and 40 – 60 Years. Scheme Provides: 2 Lakhs for permanently disabled & death and 1 Lakh for partially disable. Benefit from age of 60 years. Head Quarters: De Hag, Netherlands. First country is out of ICC is Burundi (2017) Philippines. Name of the States for Loksabha Elections: Andhra Pradesh – 175, Odisha – 147, Sikkim, Arunachal Pradesh – 60. Phase -6: May 12, 2019. The government of India gave a green signal to adopting in a single bank. Bank of Baroda is the third largest bank after inclusion of Vijaya bank and Dena bank after SBI and ICICI banks. Maximum members in Lokpal is 8 and 4 members should be Judicial members. Chairperson term is 5 years upto person reach 70 years in age. Salaries should be as per Indian Supreme court judge. GST bill passed inb May 6th, 2015 in Loksabha. From July 1, 2017 onwards GST implemented. Currently is working in American Chicago university Professor in Financial Subject. Book release date: March 27, 2019. Use: destroy the 160 – 2000 KM or nearest satellites. America, Russia, China and India is 4th Country to occupy.